Game-Support » Where do I find my games? Where do I find my games? STEAM, Uplay, Origin & Co. I have completed the purchase - where do I find my games now? The activation key or serial number if the game requires one. The downloadable files (with the Gamesplanet Downloader, and as single files). 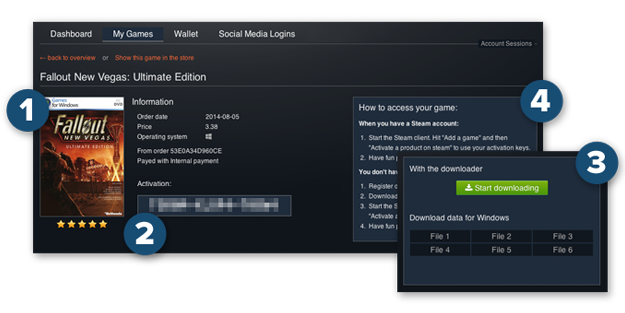 If the game uses Steam, Origin, UPlay or another way for activation, you will find the relevant information + instructions instead of the downloadable files.